Follow these helpful tips to make the most efficient use of your heating and cooling equipment and keep your home a comfortable temperature. Keep furniture and carpeting away from grills and ductwork. If you block your system’s ability to deliver air, you rob yourself of the heating or cooling necessary to keep your home comfortable. On hot summer days, keep south and west-facing drapes, shades or blinds drawn in the afternoon. Keeping the sun out will keep your home cooler. Run your dishwasher, washing machine and dryer in the cooler evening hours during the summer. Keep your blower running continuously – it helps to keep the air circulating and maintains a more even temperature. Don’t overrun an exhaust fan. Doing so pulls conditioned air out of your home. DO NOT turn off your air conditioning unit when you go on summer vacation. Instead, set your thermostat between 80° and 85° to keep air circulating in your home. High temperatures and humidity can damage your home and your health by causing wallpaper to peel, floorboards to warp, and mold and fungus to form in bathrooms, on furniture and in your ductwork. Use a programmable thermostat. This allows you to heat or cool your home only when needed. Zone your heating and cooling system. If you spend most of your time in one part of your home or if different people in your home want the temperature at different settings, zoning can help you be more comfortable and save money on your utility bills. Keep supply and return registers throughout the house free of dust, dirt and pet hair by vacuuming them at least once a year. 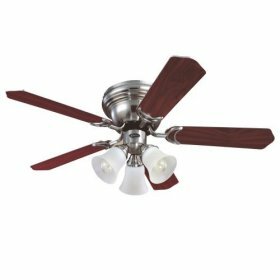 In winter months, set ceiling fans at the slowest speed and reverse the rotation in order to gently push warm air down from the ceiling without generating a breeze. Listen for odd sounds when your heating or cooling system kicks in. If you hear anything unusual, try HVAC troubleshooting and then get in touch with Hovland’s so you can head off furnace problems before they become more serious. Have your heating and cooling system checked regularly with preventative HVAC maintenance by Hovland’s. Your equipment works more efficiently when it is clean and running properly. If your heating or cooling system still is not working, contact Hovland’s.